Celebrate with us, Game-Set-Match, Inc. is winning! 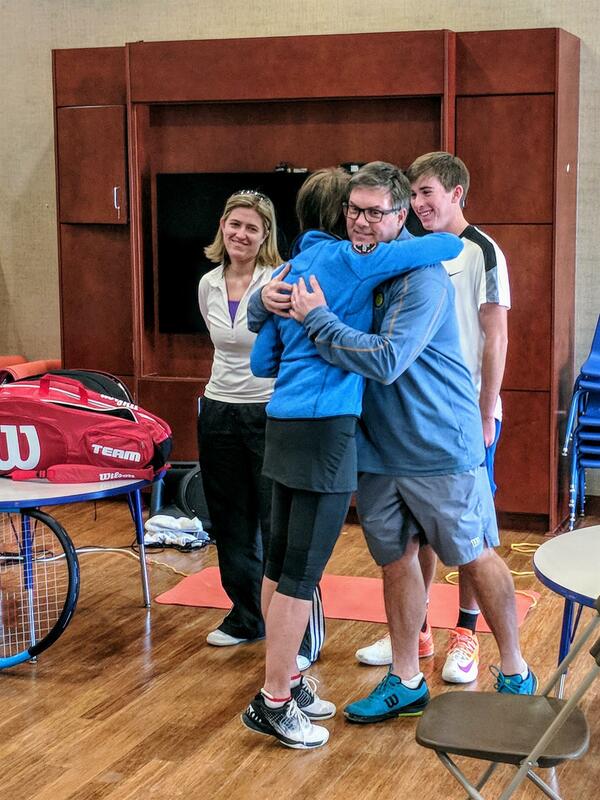 The USPTA Industry Excellence Award is given to teaching professionals who take both an altruistic and entrepreneurial attitude toward their jobs. They use their own resources and those offered by the industry to build programs that bring tennis to more people. At the same time, they are successful in growing a tennis business. As a member of the racquet sports community, Game-Set-Match, Inc. is absolutely honored to accept this award. Through the years, Adam has been able to participate in numerous sponsorships, high school programs and meet players big & small. He continues to generously donate racquet & court equipment to youth programs, breakout players, pros who are growing the game of tennis and clubs who are promoting exciting, competitive match play. Game-Set-Match, Inc. offers demo days where any group can get out there & try the industry’s new racquet releases at no charge and hosts team events where players receive 15% off nearly every product in the store. Together, these donations, discounts and events give players opportunities to enter the game, which is not only a privilege but a daily routine for Adam. Adam has built Game-Set-Match, Inc. to serve players of all levels. He has served on the National Advisory Staff for Prince, been a Premier Member of the Wilson Advisory staff for the past 28 years with 2 years as Advisory Staff Member Of the Year, received Wilson Business Partner of the Year now seven times, been a University of Denver Pioneering for Gold Award honoree & awarded Most Successful Tennis Specialty Retailer in the Intermountain to name a few honors. More unofficially, Adam serves as counsel to pros, players, fellow business owners & clubs alike, offering sound advice and companionship to all who call & visit the store, thus passing this advocacy on to staff. We are proud to add this honor in industry excellence to the Game-Set-Match, Inc. legacy. 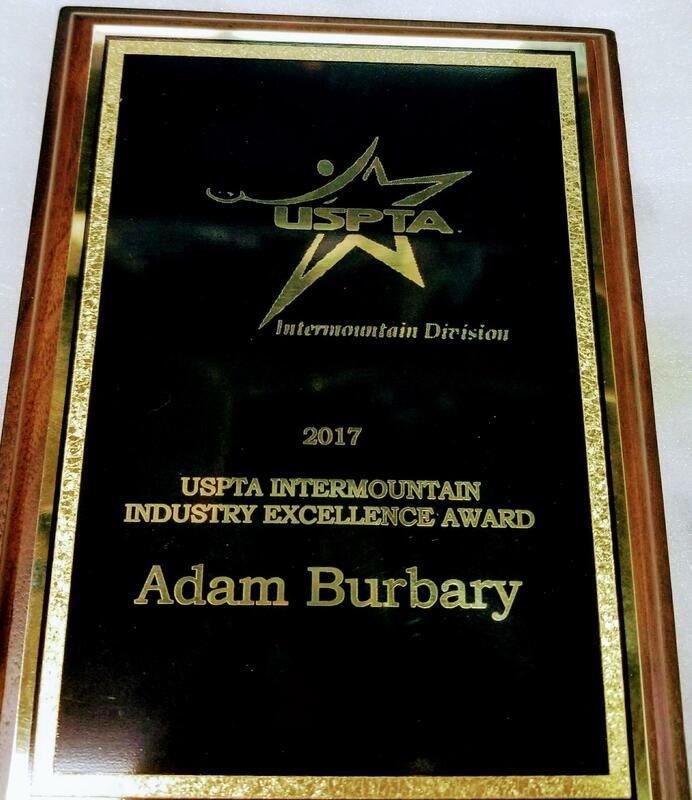 Thank you to the USPTA Board of Directors for this recognition. 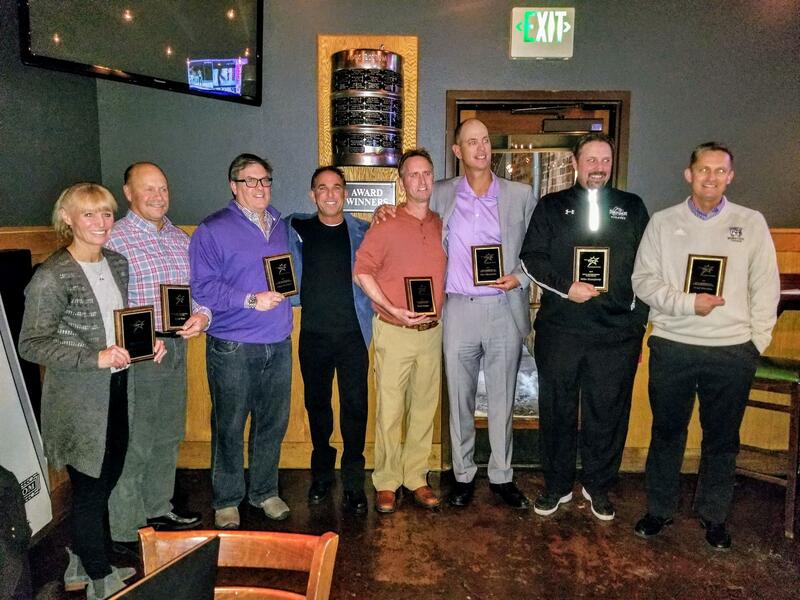 On behalf of Game-Set-Match, Inc., Adam, Rachel & Ryan Burbary (pictured below) accepted a prestigious award from Kris Johnson (pictured below) & Wilson Sports, signifying an instrumental partnership of over 30 years. 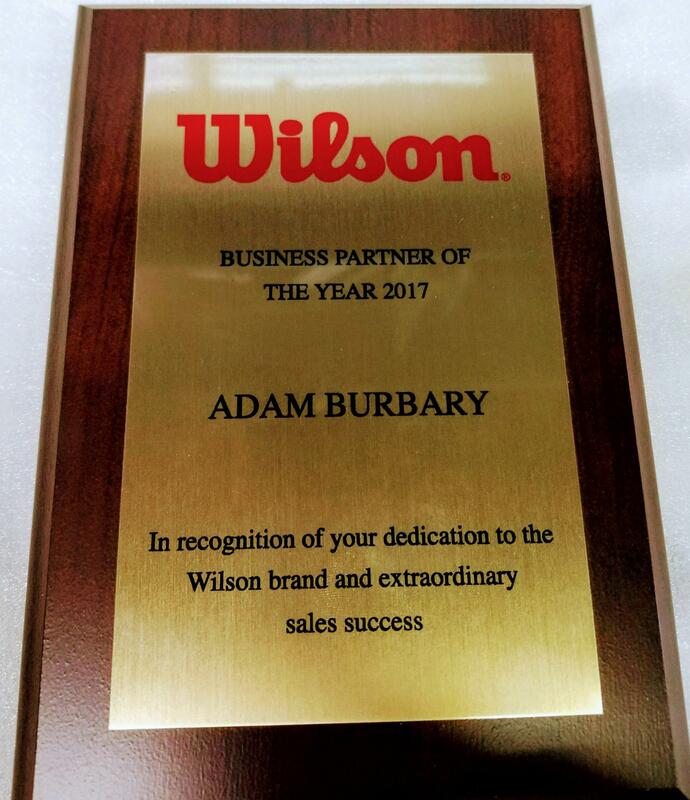 The 2017 Wilson Business Partner of the Year Award represents a continued effort over the past year to serve thousands of Game-Set-Match, Inc. customers with fresh, new technology in racquet sports, including racquets, paddles, shoes, strings & more. We are delighted to accept this award & are grateful for our continued partnership with Wilson Sports. We are lucky to have such a dedicated partner playing on our side of the court. Thank you to Kris Johnson & Wilson for this recognition. We are going up against some big names for Best Sports & Fitness Gear so we need your votes! 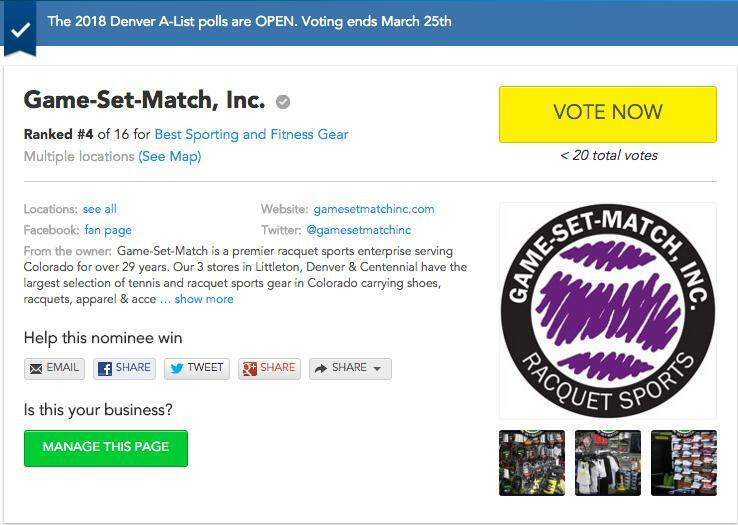 Please take a minute to click here to vote for Game-Set-Match, Inc.